A fun-packed second series from comedy duo Lucy Trodd and Ruth Bratt. Sketches and songs from a range of new characters, with the occasional appearance from old favourites. A fun packed second series from comedy duo Lucy Trodd and Ruth Bratt. Sketches and songs from a whole range of new characters, with the occasional appearance from some old favourites. The first series was nominated for Best Comedy at the BBC Audio awards 2014, and all four performers have recently been on the West End stage as part of the smash hit Showstopper: The Improvised Musical - and were part of the show when it graced the Radio 4 airwaves a few years ago. This week we find out what voguish new venture Huxley and Gulliver have got themselves wrapped up in, we meet the busiest ladies in town and, direct from Paris, a rare appearance by The Centipede Sisters. 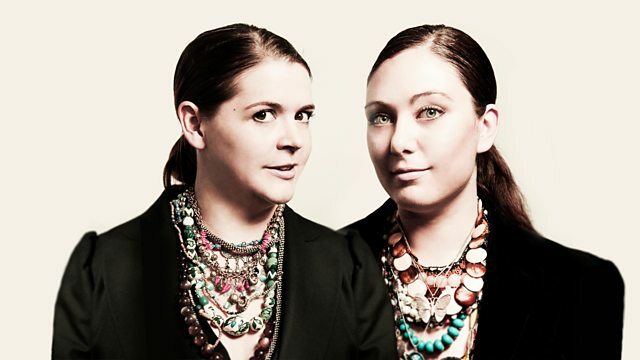 Sketches and songs from comedy duo Lucy Trodd and Ruth Bratt.